Propane emits minimal greenhouse gas emissions and is the cleanest burning fossil fuel for energy available in the Cayman Islands. It fulfills energy needs by burning cleanly and efficiently, giving consumers more value for their energy dollar. 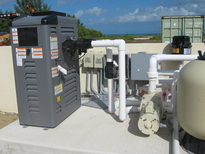 Help keep the Cayman Islands greener and healthier for generations to come by choosing Propane as your main energy source today with Go Gas Ltd.
See how you can save with these energy saving propane appliances below. Choose propane and start saving today!! Propane dryers quickly reach the temperatures needed to dry clothes evenly. Less drying time saves over 50% in energy costs. The moist heat of a propane dryer is less likely to burn or discolor fabrics than heat produced from electric dryers. This results in less wear and tear on fabrics and creates very little static cling. A Propane generator out-performs diesel and gasoline fueled generators while running more quietly and efficiently. Small and compact, you will almost not notice it is there - until you need it. Turns on automatically when the power goes out. Propane never 'goes bad' so your emergency generator will work when you need it most giving you peace of mind. Costs 60% less to operate than traditional electric water heaters and you'll never run out of hot water! Traditional electric water heaters produce 175 times the amount of greenhouse gas emissions than a tankless propane water heater. 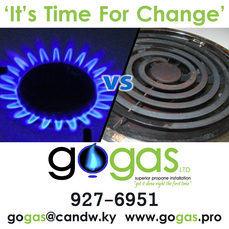 Tankless propane water heaters heat more than twice as much water in an hour as a comparable electric model. Propane is the most efficient fuel for domestic water heating and reduces greenhouse gas emissions by 50%. Reduce heat indoors by cooking outdoors - it will help to decrease your energy bill and give your a/c units a rest. Utilize your beautiful backyard and spend more time with your family while cooking outdoors. 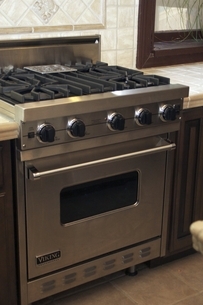 Instant heat and precise temperature control is essential for even a novice chef. Even heat distribution makes fewer 'hot spots' so your food comes out just right every time. 50% more efficient than electric stoves - saving you hundreds of dollars a year. If the power goes out you will still be able to cook a hot meal for your family. Propane Pool Heaters have an efficiency rating of 70-90%, making it an excellent choice to extend the use of your pool all year round. Propane heaters heat quicker than electric heaters and maintain temperature more effectively. Propane releases over 50% fewer greenhouse gas emissions and toxins than gasoline, ethanol, diesel, bio-diesel, kerosene or coal, with extremely low levels of sulfur, a big contributor to acid rain. Thus making it environmentally friendly and a trusted, reliable energy source. Propane produces virtually no soot and 60-70% fewer smog-producing hydrocarbons than gasoline and diesel. Consumers who replace electric appliances with propane appliances lower their carbon footprint of greenhouse gas emissions of CO2 and soot by over 50%. Propane does not damage freshwater or saltwater ecosystems, underwater plant or marine life. Propane will not cause harm to drinking water supplies if spilled on the ground. Propane is low in emissions of particulate matter (invisible solid particles and liquid droplets), which is the most dangerous of all fuel-related pollutants, causing lung problems and cancer.